Cristina Diamond Cruise is a Brand new Deluxe Cruise launched on May 01, 2015. 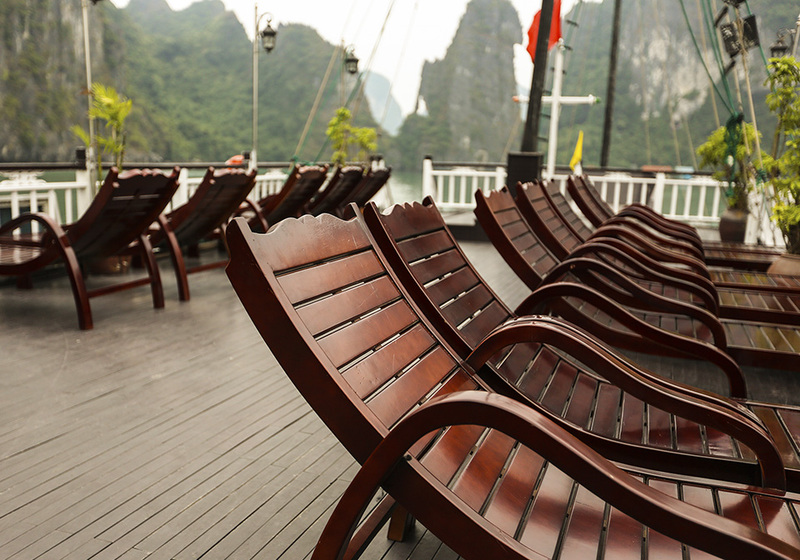 The cruise is made from steel and high quality wood to bring every traveler absolutely safe stay on Halong Bay. 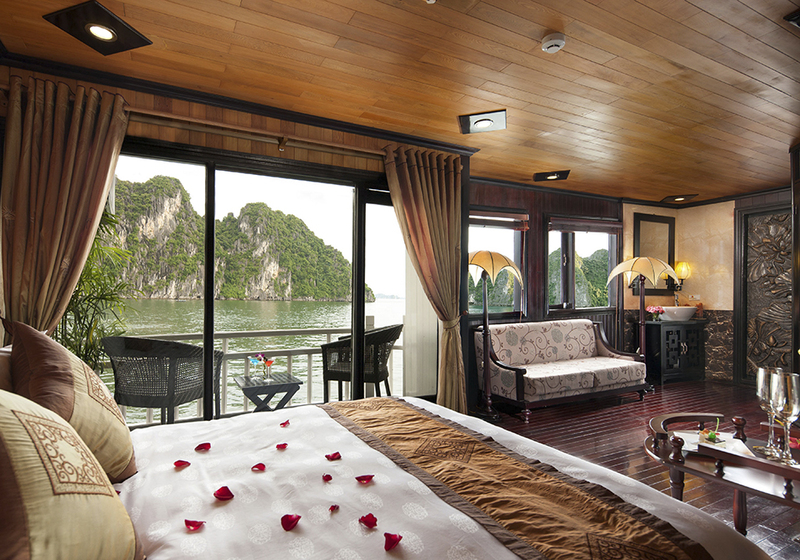 There are 16 Deluxe Cabins located on the main deck of Cristina Cruise. 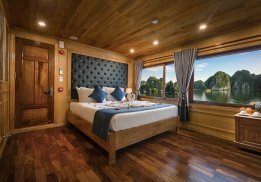 Each cabin is furnished in a minimal style with a choice of double or twin beds or triple with a balcony. 12:30 – 13:00: Check – in. Cruise begins with welcome drink and safety briefing. 07:40 – 08:20: Pick up at your hotel (near the Old Quarter in Hanoi). 21:00: After Dinner, Retreat to your room for some rest and relax or ascend to the sundeck which Designed both for social interaction and private reflection. Whether it’s to laze around after a wonderful and filling dinner, drink or talk with your new found friends. This will be a great area where Guest can also try their hand at Squid fishing, Board games. 08:30: Transfer by tender to the “Day Boat”. Cruising to Cap La area. 09:30: Visiting one of nice cave on Ha Long bay, it’s named Master Cave (Thay cave) by Local people. 10:15: Back to the daily boat to cruise through other part of Bai Tu Long to Vung Ha area. 14:00: Kayaking through an incredible area and swimming around Vung Ha area. 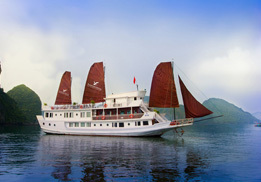 15:00: Continue to cruise back to the Mother boat for second night. 21:00: Evening entertainments: play game on the cruise: cards game, chess, and squid fishing in early night.